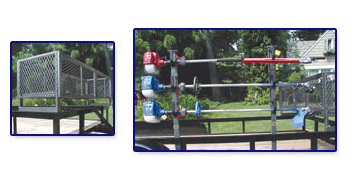 Another style of equipment trailer racks is Rack’Em Manufacturing. We carry different styles for different equipment. Also available for enclosed trailers.